A web and email enabled community to connect your members and customers. Give them the choice: talk via the web or over email or both. Lightning quick and seamless single sign-on (SSO) that keeps your websites, apps, and platform tied together. Centralized website reporting, metrics, and advanced analytics tools. Custom member directories, categories, discount offerings, and rapid search tools. Sell and manage your online advertising directly from your website. AMS integrated password reset, profile manager, and subscription self-services. Revenue generating career center, ad packages, resume searches, and automated posting to popular job boards. Branded annual meeting and member event websites with custom menus. Every association has unique needs and yet often find themselves working within the confines of their AMS or completely outsourcing a core aspect of their business with poor or no integration with other applications and systems. Information Safeguard protects and integrates your data and systems so that you can make smart business decisions. Data loss, jolting transitions from app to app, and outsourcing online services to a third-party can cripple member retention. We understand the importance of real-time member profiles, and how out-of-date information can effect member satisfaction. Extend your AMS into creating a flexible, adaptable system without data loss by implementing our Secure Web Platforms. Your association relies on strong strategic partnerships for advocacy, meetings, membership management, and web hosting services to support and grow your membership base. Through our fully customizable Secure Web Platforms we create a consistent, reliable experience, so that your staff and members can make smart decisions. 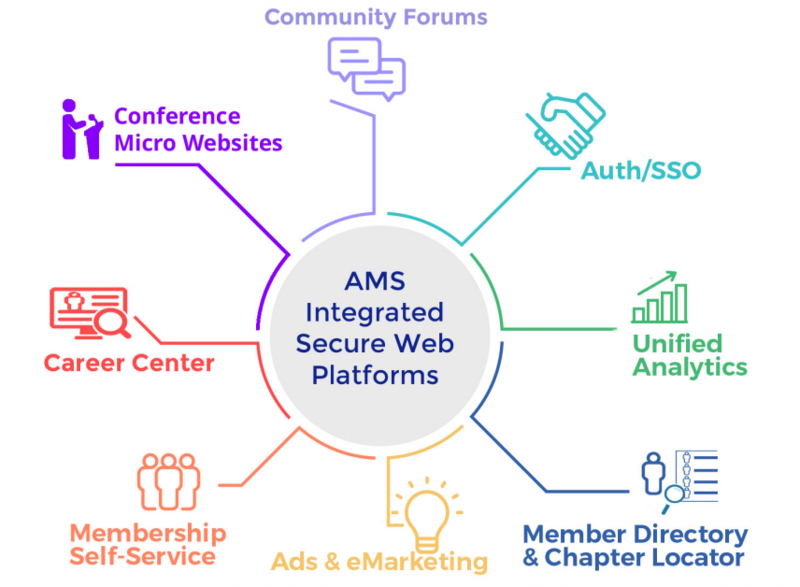 Below you’ll find core components of the system, which are interchangeable and are built to empower your AMS, whether it’s Abila, iMIS, YourMembership, a custom system, or one of the dozens of other AMS offerings.